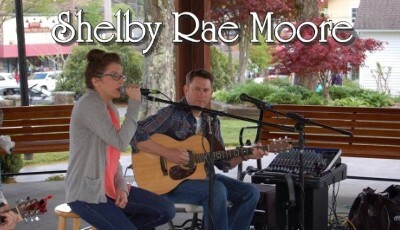 “Shelby Rae Moore is a phenomenon! At barely twenty years of age, she has been wowing audiences for years with her voice, style, poise, stage presence and repertoire. Having grown up in a musical family, she began singing at a very early age and has evolved into a seasoned professional. She has the uncommon ability to move effortlessly between genres including blues, rock, country, bluegrass and pop. Her influences range from Jerry Reed to Bonnie Raitt to Etta James to Adele. As a testament to her versatility, Shelby plays with a four-piece acoustic/ electric unit accompanied by her two uncles, Chet & Brent Palmer and Kurt Stracener on percussion.